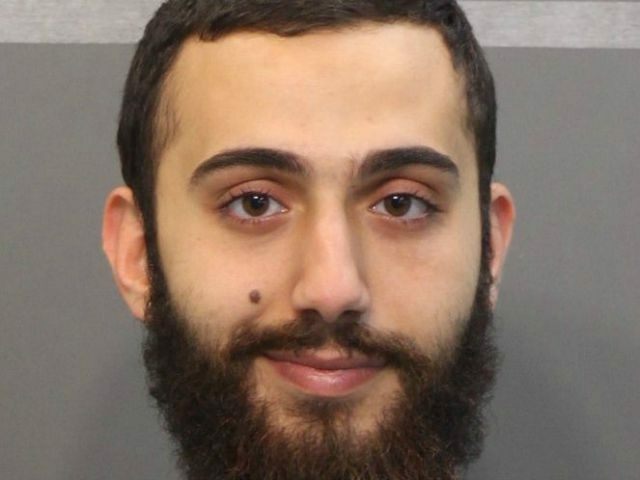 Reuters is reporting that Tennessee jihadist Mohammod Youssuf Abdulazeez sent his friend a link to "a long Islamic verse" (actually a hadith) shortly before he opened fire in Chattanooga. I'm not sure which part was most important for Abdulazeez, but there are a few possibilities. First, there is the portion quoted by Reuters about Allah declaring war on someone who shows enmity towards a Muslim. 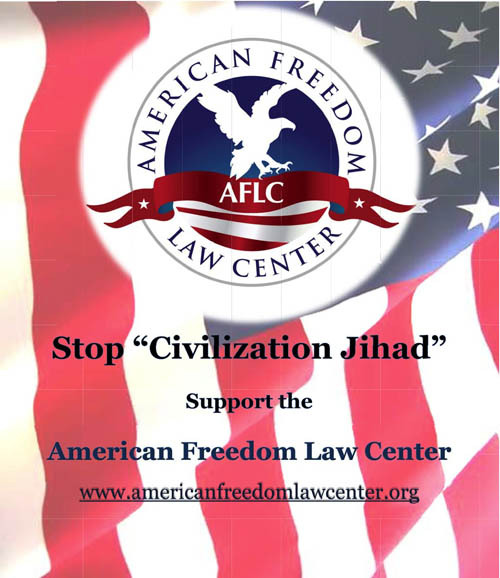 Since the U.S. military has killed numerous Muslims in various wars, Abdulazeez was clearly convinced that Allah had declared war on the U.S. military. When Allah declares war, Muslims must fight. Second, Allah says that the most beloved things a Muslim can approach him with are the deeds commanded by Allah. 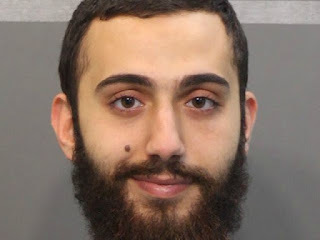 If Abdulazeez regarded Allah's commands to "Fight those who do not believe in Allah" (Qur'an 9:29) or to "Fight those of the unbelievers who are near to you and let them find in you hardness" (9:123) as commands directed towards Muslims in general, he may have believed that killing U.S. Marines was straightforward obedience to clear commands. Third, Allah points out that a Muslim can come even closer to him by going beyond the performance of obligatory deeds. Hence, Abdulazeez may have believed that he was going beyond the call of duty by attacking U.S. Marines, and that his actions would get him special honor. Fourth, Allah declares that he will come so close to Muslims who perform supererogatory deeds (deeds that go beyond the call of duty), he will actually become their sense of sight and their sense of hearing. If Abdulazeez had a spiritual hunger, he may have longed to be so close to Allah that Allah becomes his senses. Fifth, if a Muslim performs supererogatory deeds, Allah promises to protect the Muslim who asks for protection. The hadith may therefore have been a request for divine protection. Of course, Abdulazeez may have meant more than one of the above possibilities. But since he threw his life away waging jihad for Allah, I guess we'll never know. If this is "Allah said..." how did the first compilers of the Quran know to not put it in? It was the end of Ramadan and he wanted to earn the most rewards for performing the boldest at of worship. I am an ex muslim apostate and I am convinced Islam is NOT a religion of peace as the media and most liberals blindly claim. The only peaceful muslims are the ones that are not well rounded in Islam and they have no idea of the ugliness in their hadiths or Quran, and the ones that know the questionable passages that make Muhammad look like a monster but are quick to defend him and are in denial. Most of my family members make up Sunni Muslims and are super strict in islam. So strict I feel trapped and that my opinions and beliefs are stifled because i fear shaming the family and being disowned. My parents have weak hearts and I don't want to be responsible for their deaths. I don't know what to do, I am pleading for help. I want out. The whole part about Allah becoming the sight, hearing, hand, and leg of the believer is extremely creepy. From the modern psychological perspective, it sounds like a description of a psychotic episode in which one "becomes Allah" before committing mass murder. From a religious perspective, it sounds like a description of demonic possession, especially with the additional part about taking the soul of the believer. I don't usually use the term satanic since I normally associate that with excessive medieval superstition and ridiculous horror movies, but of everything I've read of the Quran and Hadith, this has to be the one piece of scripture that can only be described in terms like demonic or satanic. Other scripture describes things that are objectionable, immoral, or distasteful, but you could base an entire horror movie on this Hadith due to it's mystically unsettling and horrific nature. I'm not exactly an expert abnormal psychologist or psychiatrist, but he statement in this Hadith seems like something that only a violently psychotic individual could have composed during a psychotic episode. "When you pray, you are not to be like the hypocrites; for they love to stand and pray in the synagogues and on the street corners so that they may be seen by men. Truly I say to you, they have their reward in full. But when you pray, go into your room, close the door and pray to your Father, who is unseen. Then your Father, who sees what is done in secret, will reward you." In modern terms, these verses are a criticism of what is technically called social moral credentialing which is a fancy way of saying that one makes a public show of how morally superior they are, but Jesus here is saying that God rewards not based on how many people see but by what He sees. Siddhartha Gotama (the historical Buddha) also made statements that are in agreement with this, though he would say that light or dark results are based on the natural law of kamma-vipaka (intentional action and result) rather than a divine judgement. But the point is that both major religious figures agreed that social moral credentialing is not the point. Moral credentialing is also statistically correlated with moral licensing which means that people who make a big show of morality often feel as though they have license to commit moral transgressions. (This is what "hypocrites" is referring to in the above.) But what matters is how one acts even when they don't think anyone is looking, not what kind of show they put on for others. Marksonmark13 has given you some excellent advice, but here are some links to information that may be of help to you also my friend. I am not vouching for the sites as I'm not 100% sure about all the authors but there is definitely helpful information, including testimonies, that may at least make you aware that you are not alone, and that there is a way to leave Islam. Nabeel Quereshi, who you would have heard about on this site also left Islam and his testimony is on the AnsweringMuslims website as well. The advice that you need will be influenced by where you live, as marksonmark13 said, and I wouldn't necessarily post that detailed information here. You could tell us if you were in a Muslim country or a non-Muslim country and that would help. Just remember that you are already 'out' of Islam while you're still stuck inside the system of Islam. No-one can hold your soul prisoner or trap your spirit once you have broken those chains. God bless you for caring about your parents, but I can assure you that God would not allow your parents' hearts to fail because you told them the truth about your feelings. But knowing the right time to speak to them is important. I would encourage you to find a support group before you tell them. I agree that it is important to gain financial and personal independence if that is at all possible. Studying is an excellent option, again if that is possible. Are you living at home now? I will be praying for you, my friend! I know others here will as well. You've made the best decision you could have, not only for yourself but for the ones you love! Please explain if you can, how in the world Islam be a religion of Peace when their Allah declared War against humanity and Muslims like Md. Abdulazeez believe that Allah (SW) who enjoy killing and destroying his creation? How in the world Islam is a religion of true god and Muhammad be prophet of true god when Muhammad’s allah allow Muhammad to marry his daughter-in-laws, allow him to keep nine women but for other Muslims, only four and finally Muhammad was killed by poison? There are many more devils’ characters revealed in quran but it is sad Muslims fail to understand because of fear and ignorance of Islam. To test Muhammad allah’s power, all Muslims should say let allah kill all Christians including me, if he is true god. This would be scientific test to prove Muhammad allah’s (sw) power as god and OSAMA ABDALLAH faith on quran as scientific miracle. If Muslims’ allah could kill all Christians without ISIS, Jihadists’ help, then he would be true allah. Because Holy God said in Ingil Sharip (Holy Gospel) not to take His law into anybody’s hand. He would judge everybody at the Final Judgment Day. Why do Muslims take God’s law at their own hand? Those who understand Holy God and know history of mankind, know that devil have no power over Holy Trinity. Devil fears Holy God. Holy God is the Light opposes to evil the Dark. Muhammad is that dark Muslims fail to understand him. Love, sacrifice is fruits of light of the life and hatred, killings are fruits of evil, which Muslims are bearing now after believing quran. May God bless Muslims to open their inner eyes! To CarlPanzram: My heart goes out to you, and I will pray for you as I know many who read your post would. The LORD Himself has heard your heart's yearnings. Simply open up to Him and ask Him to help and guide you. He will. He most assuredly will. Godspeed. Robert, I can't agree with you more. You're absolutely right: from BIBLICAL perspective, it IS a description of demonic possession, where the muslim's body and soul are possessed by Allah before committing mass murder. And you're spot on: it was composed by a violently PSYCHOTIC individual during a psychotic episode. O LORD, please have mercy! Scholarly Muslims would say that if "Allah" doesn't do something then it's only because he has decided not to do it. If there is an immovable object then it's only immovable because Allah has decided not to move it and has made it immovable by everyone else. It is common, if not universal, within Muslim theology to believe that Allah has set up the world as a test to determine who is a loyal slave of his and who isn't. Therefore if Allah doesn't instantly kill all of the unbelievers then it is only because he wants to conduct an elaborate loyalty test, almost like an elaborate video game to determine who should or shouldn't be rewarded or punished after the video game is over. The test is not simply about killing the infidel but about achieving imperialistic supremacy for Allah through any means necessary whether it's through deception, terror, or killing. But one much wonder, is this the kind of thing that God would do? According to the Christian, Jewish, and Muslim legend, Shaytan was the Angel of Light who wanted imperialistic supremacy over heaven, to usurp and replace God. This happened because God did not make all of his angels his slaves, but gave them free will. After this revolt, he took free will away from his angels but NOT from humans. So, is a religion based on the idea of slavery and imperialistic supremacy among humans something that God would come up with, or is it something that a rebellious Shaytan would create as part of his continuing rebellion among mankind? Would God try to deny humans free will by possessing or deceiving them or is that the kind of thing that Shaytan would try to do? Would God try to turn the world into a miserable suffering test of supremacist conflict just as a loyalty test or is that what Shaytan would try to do? Would God want mindless obedient slaves or is that something Shaytan would want? Shaytan/Satan is described as an "Angel of Light". Everyone should know by now, Muslim or otherwise, that appearances can certainly be deceiving. This is why the Bible says "by their fruits ye shall know them" not "just listen to anyone who says an angel of light told them something". "By their fruits ye shall know them" is called a pragmatic utilitarian argument for veracity. If you want to know if an angel of light is Gabriel or Satan, both are going to look the same, so the distinction can only be determined based on examining what their actions and pronouncements cause to happen. Robert, thanks for explanation. I wish Islamic scholar Mr. OSAMA ABDALLAH say something about power of allah and delegating his authority of judgment to Muslims thru quran by his own words. Osama Abdallah is proud of quran as scientific miracle, so why does allah not kill non-believers by himself instead of using ISIS or Al-Qaeda? I wonder what allah (sw) would do at final judgement day when Muslims are working for him implementing allah’s Sharia law, punishing non-Muslims and criminals. I think allah will sleep at the end of the world. Can a Muslim ever know that he is loved by the god of Islam? "The only peaceful muslims are the ones that are not well rounded in Islam and they have no idea of the ugliness in their hadiths or Quran, and the ones that know the questionable passages that make Muhammad look like a monster but are quick to defend him and are in denial." It is my understanding that Sufi Muslims are peaceful. I don't know how they deal with the violent Quran and hadith passages. I heard that al-Sisi is Sufi. Allah goes to hell, becouse Allah is Satan, the Bible is clearly about that. The most charactar of Allah is the same as Satan in the Bible dicribes . Nojmul, they will always have silly answers to those questions. All of the stuff about science in the Quran is just to trick people into believing that it is true. If there are so many scientific hypotheses in the Quran then why didn't Muslims discover or invent all those things first? This is the sort of question they don't want to answer because even the best answer they can come up with doesn't look good for the Quran or Muslims. If the Quran had so much science in it and Muslims just did nothing with it then the Quran looks good but Muslims look too stupid to learn from it. In reality it doesn't have all these scientific things in so nobody could be expected to learn science from it. 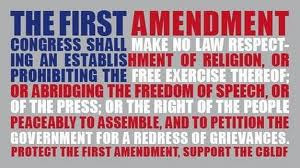 And with all the punishment for blasphemy in sharia law who would discover anything new if they would get punished for it? If people believe "all knowledge" is in the Quran then why would anyone try to learn anything new? 15"Beware of the false prophets, who come to you in sheep's clothing, but inwardly are ravenous wolves. 16"You will know them by their fruits. Grapes are not gathered from thorn bushes nor figs from thistles, are they? 17"So every good tree bears good fruit, but the bad tree bears bad fruit." The only answer they have is to blame the infidel for all the bad fruit in Islam, which again is yet another belief that bears bad fruit since it keeps Muslims from examining their own beliefs and behavior for cause and effect. This is why the comparison with a tree is used because a belief with bad fruit branches out into other beliefs with bad fruit in a whole tree of bad fruit. I know this could be another topic, but I believe it is very related. I am not American, but am I the only one feeling very apprehensive about the "deal" with Iran? Sufis are not necessarily peaceful. That is their general reputation but I have heard of some of them going off to join the Taliban, for example. 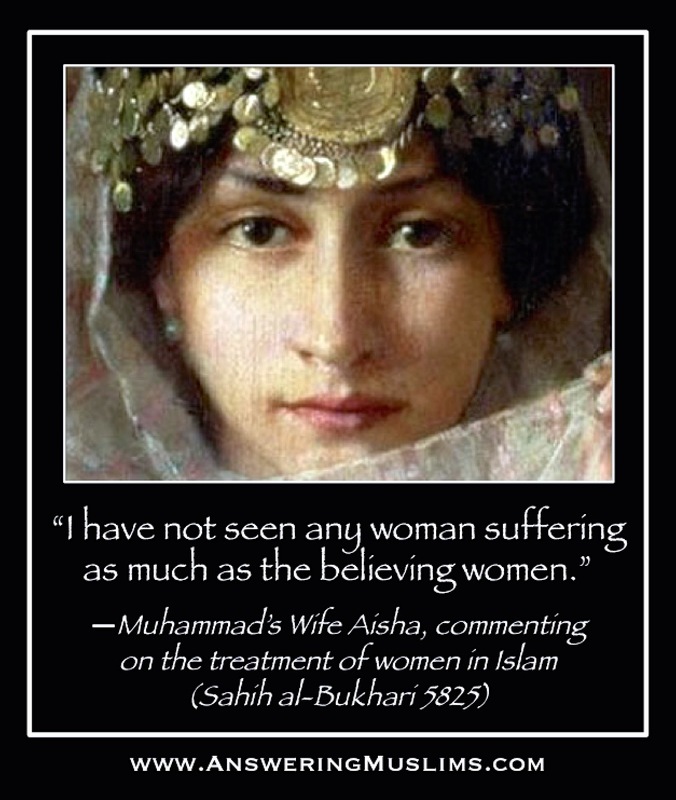 They seem to leave out the first part of the Hadith in that quote though. @Dacritic: definitely not. People with sense have been criticizing the deal a lot. No, you are not the only one. I am reminded of the deals brokered after World War I and II with aggressors and the tragic results of many of those seemingly goodwill deals decades later. But it seems that foreign Western powers have fallen once again for the myth that they are somehow able to discern and anticipate the thoughts and intentions of Middle Eastern leaders with whom they have little in common. The assumption that everyone adheres to the same values has been in past a fatal one, as has the idea that appeasing potential aggressors is successful in stopping conflict. This deal is being argued as the lesser of evils, an argument that almost always ends in tears. all Muslims could see through the preposterous, vicious nonsense of Islam, as you have done. of their birth. 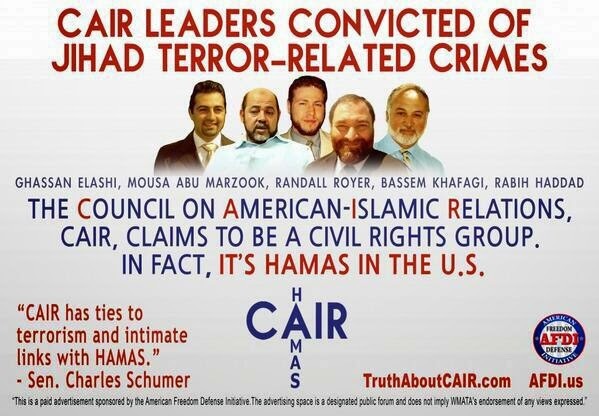 Islam is a work of evil genius, using terror to dominate both its believers and the infidel. It is encouraging to hear from someone who recognizes that many Muslims are themselves victims of Islam, born into a religion that is foisted upon them from birth. Thank you for making this point, one that is all too easily forgotten in Western countries where religion is seen much more as a choice. The "circumstances"of many people's birth should give us cause to fight harder on behalf of those born into the Islamic web of lies. If we can be of any further help, please let us know without divulging any more than you need to. God be with you, my friend.